It is said that the small pleasures in life are the ones that you should never give up. 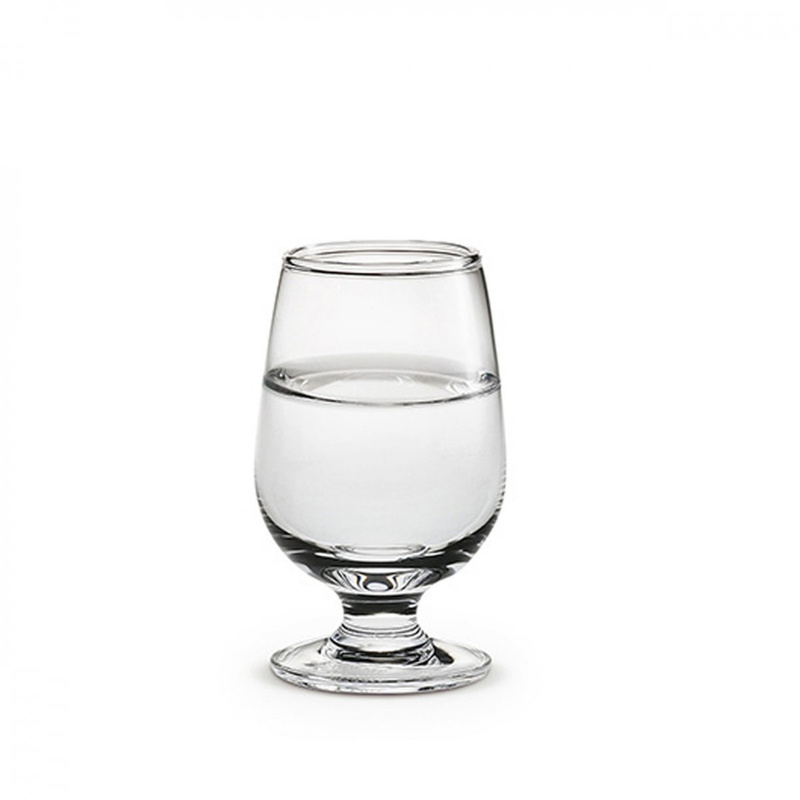 Maybe, it is precisely for this reason that Holmegaard decided to create shot glasses for grappa with a unique design, suitable to host the precious liquor and to make it even more attractive to the eyes of the true lovers of good food and tradition. Refined and eye-catching, the two Det Danske Grappa glasses are made of transparent blown glass and show a simple structure that does not renounce to a touch of modernity. The material chosen for the composition of the product, non-toxic and totally lead free, is brilliant and brings to light the brandy which will be poured, enjoying the liquid shimmer, even before its unmistakable flavor. The bottom edge, with its iridescent finish, leaves space to graceful plays of light and gives a special touch to a hand-made product, expertly designed for true lovers. Separate mention deserves the top edge, worked with a thin border that allows not to waste even a drop of the brandy poured and to taste at best the different nuances of flavor. The processing is obtained thanks to a hot cutting that makes each product unique of its kind. 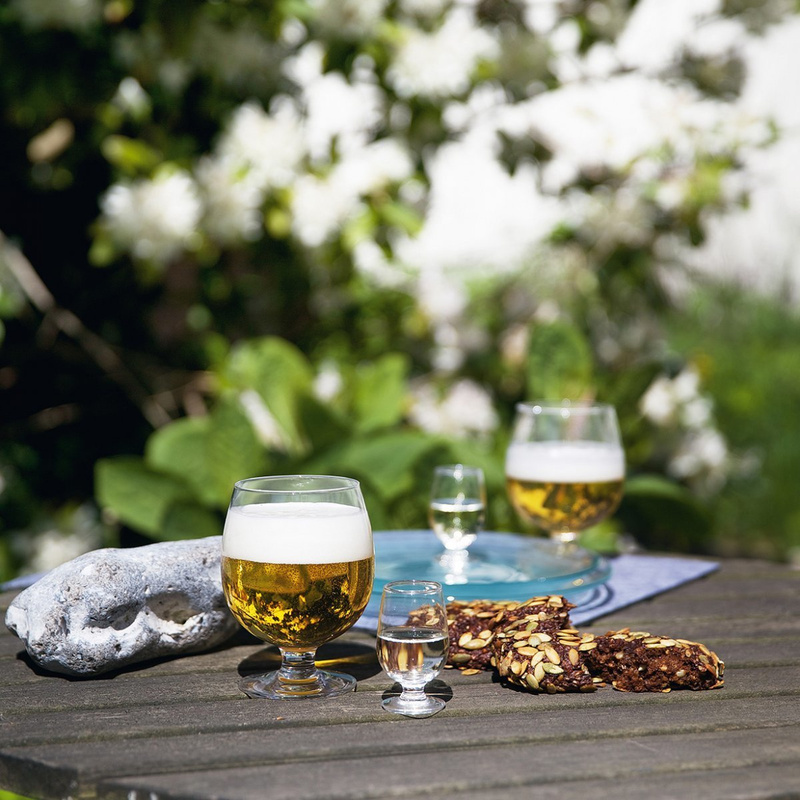 The two Det Danske grappa glasses were designed by Torben Jørgensen and are a clear homage to the Danish table, on which it can never miss a shot of liqueur after dinner. For this reason, buying these accessories becomes a way to create or embellish a collection of design objects: a unique solution to enrich your home with evergreen and stylish pieces that can be transmitted generation after generation or to give to those who will appreciate them. 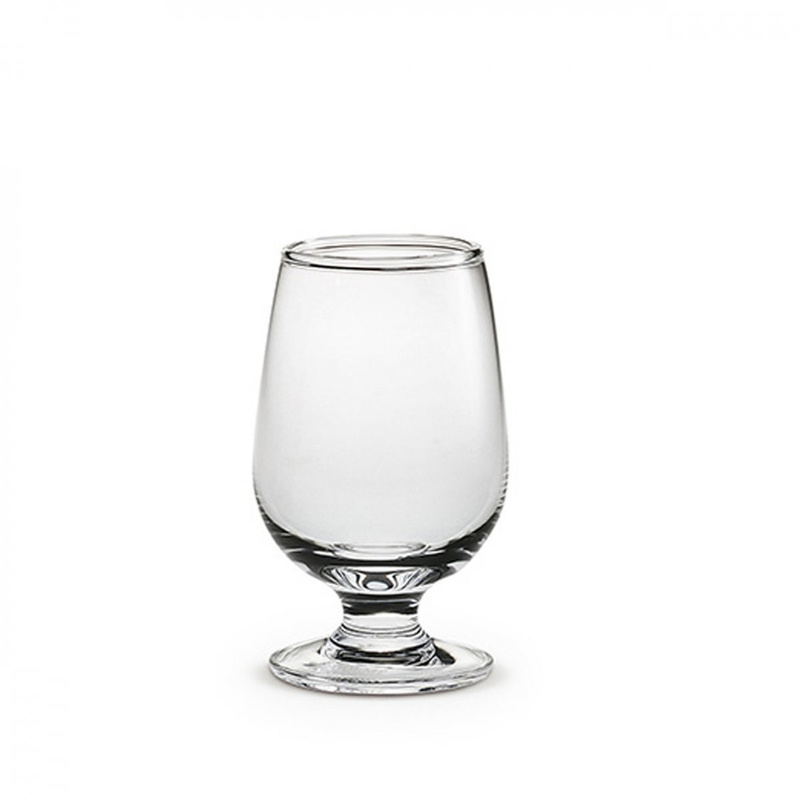 The grappa glasses can be bought in series or individually to keep warm during cold nights. The proposed glasses are presented as a design item that can not miss in a house where elegance and modernity meet. It is advisable not to wash them in the dishwasher. The history of the Holmegaard glassworks began in 1825. It is the story of a small glassworks in a peat bog, growing to become part of a large modern group over a period of 185 years. Today Holmegaard produces mouth-blown and machine-blown glass in accordance with the latest and most advanced production methods, recognizable by the Swan logo.